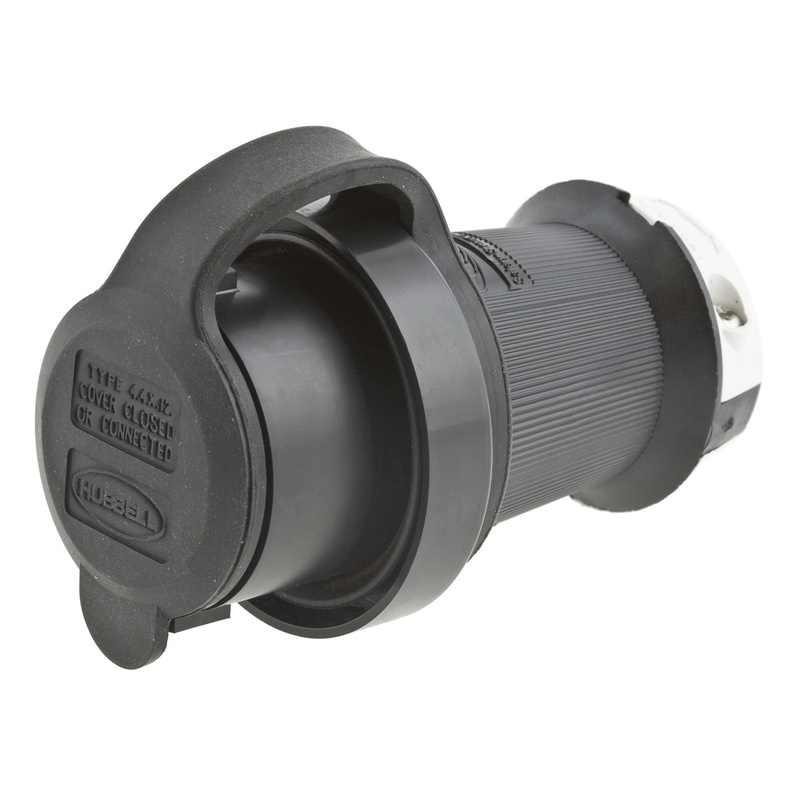 Hubbell-Wiring Safety-Shroud® Twist-Lock® 2-Pole 3-Wire Watertight plug in black/white color, features PBT housing construction and is rated at a voltage rating of 125-Volts and current rating of 30-Amps. It has a dimension of 2.77-Inch Dia x 4.5-Inch. The screw terminal grounding plug with 2 hp power rating, accommodates conductor of size 16-8-AWG. It withstands a temperature rating of -40 to 75 deg C. The NEMA L5-30P configured plug has a minimum 2000-Volts withstanding dielectric strength and a 0.325 - 0.93-Inch cord. This plug enhances durability of mating receptacles by eliminating damage caused by insertion of bent blades. The plug offers extra protection for personnel by reducing chance of inadvertent contact with blades, while connecting or disconnecting energized receptacles and connector bodies. Plug is UL listed and CSA certified. * Inventory displayed is accurate as of 04/22/2019 10:40 EDT.